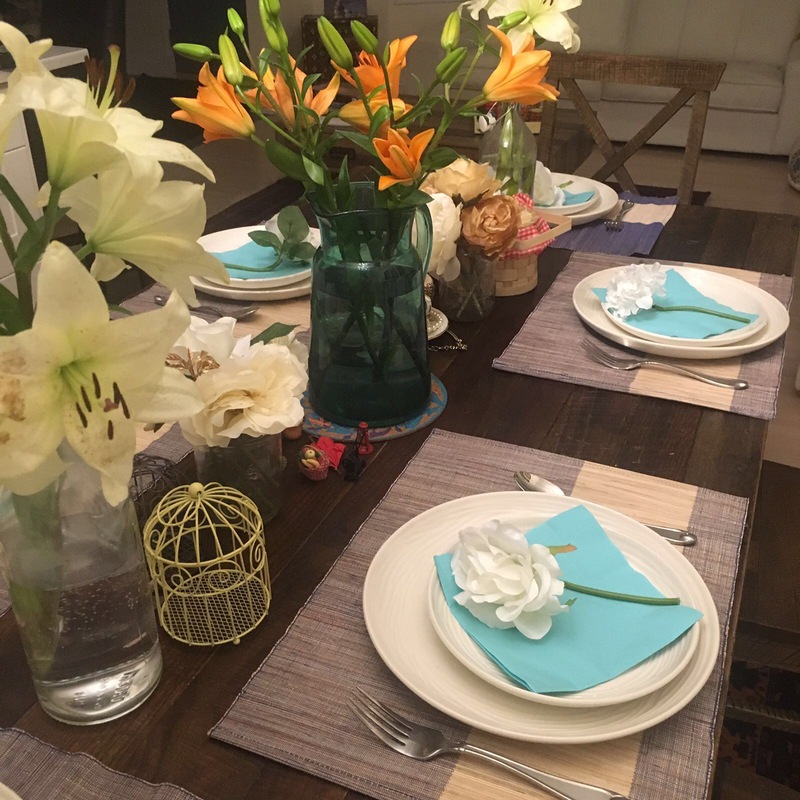 Hosting an Iftar is different from hosting a regular dinner. As the month of Ramadan goes by too quickly and Eid comes closer, let’s talk about a few Do’s and Don’ts of hosting an Iftar. Have a huge spread out. Most people fill up too quickly after a long day of fasting and most of your effort will go wasted. Have too many food items that need to be fried otherwise you will be running around last minute trying to fry pakoras with one hand and setting the table with the other. Ignore the importance of tea! Most people expect to have their cup of chai as soon as they break the fast, so have your tea station ready. Expect guests to stay for long. Most people are tired after a long day of fasting and need to head for Taraweh or head home to wake up for Sehri. If you do expect them to stay, make sure you arrange for Sehri and be ready for an all-nighter! Have an Iftari without Pakoras! That’s just not done. Sorry. Cook every thing on the day of the event. Start prepping a few days before and cook a few dishes before hand. Focus on a well-balanced menu with a good mix of Iftari dishes like pakoras, samosas, fruit chaat and a couple of main dishes like Biryani, Haleem etc. Moderation is key. Have a tray of khajoors ready! It’s not an Iftari if you don’t have these! Manage your time well. Make sure all food is ready and set on the table before the Iftar time. This is not the time where your guests will forgive you easily for being 10 minutes late with having the table ready. Have lots of water, lemonade and fresh juices available. Important to stay hydrated in long summer fasts. Set aside a separate praying area for men and women. Have all the prayer mats in your house ready and if possible put up a paper arrow by the prayer mats for the direction of the Kaaba. Make sure there are a few kid friendly menu items. Most kids will not eat the spicy Iftar dishes. Great and easy ideas are: fresh cut vegetables/fruit, chicken nuggets, cheese, pasta, cheese pizza etc. Here are a few menu ideas and recipes for hosting an iftar! Hope you enjoyed these Do’s and Don’ts along with menu ideas. Would love to hear what are your tricks to pull off a great Iftar. Next Post Girl Talk: The L word! You’re most welcome! Thanks for your comment! Great Suggestions! And love the idea of suggesting a menu! Thank you also for including my Date Truffle recipe. I love that recipe of yours! Thanks for the shout out Tamania! I have to say, you’ve got an amazing lineup of recipes here mA! Since Maghreb time is so late, what I find works for me when I host iftars is that I serve dates and water/whatever beverage I’ve made at iftar time, and then we pray Maghreb, and then I just take out all of the food I’ve made (including traditional iftar fare). It works well because otherwise I feel like it’s a mad rush because iftar is a whole meal in itself, and then dinner is obviously a whole meal too.